Delivering breath-taking scope for creativity, the DJM-750 takes FX manipulation and software synergy to new levels. 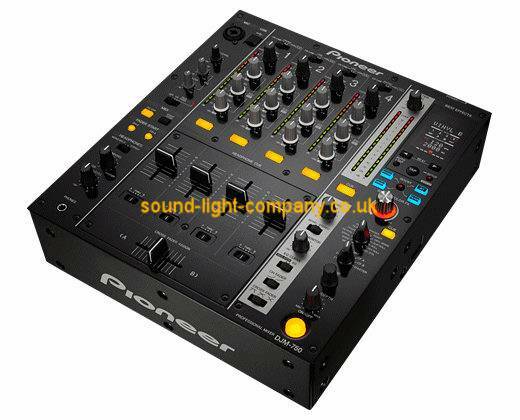 The DJM-750 combines Pioneers latest audio and FX technology in an attractively priced 4-channel mixer. The mixer boasts 13 Beat FX with a dedicated Level/Depth knob for tactile control of the wet/dry mix. The DJM-750 inherits the same 32-bit digital signal processor as Pioneers club-standard DJM-900NXS and a built-in 24-bit/96 kHz USB sound card, while 3 sampling rates makes it perfect for production and recording. Hit Boost FX to engage and control Sound Colour FX and Beat FX simultaneously, and manipulate the parameters of both FX depending on how fast you twist the large chrome knob. This mixer is equipped with a 32-bit A/D converter to digitise and enhance sound quality for all outputs, while the 32-bit digital signal processor suppresses digital noise. Even analogue noise is reduced through balanced hybrid operation amps and output circuits. Most portable humidifiers use ultrasonic technology, which uses high-frequency sound vibrations to create water particles that get expelled into the air.